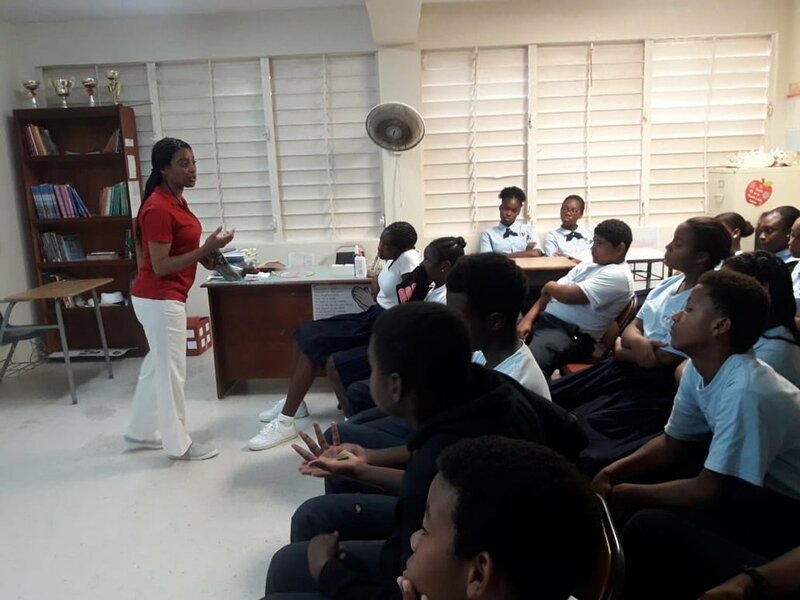 Tausha Vanterpool gives presentation on Seeds of Love to students at the Claudia Creque Educational Centre. 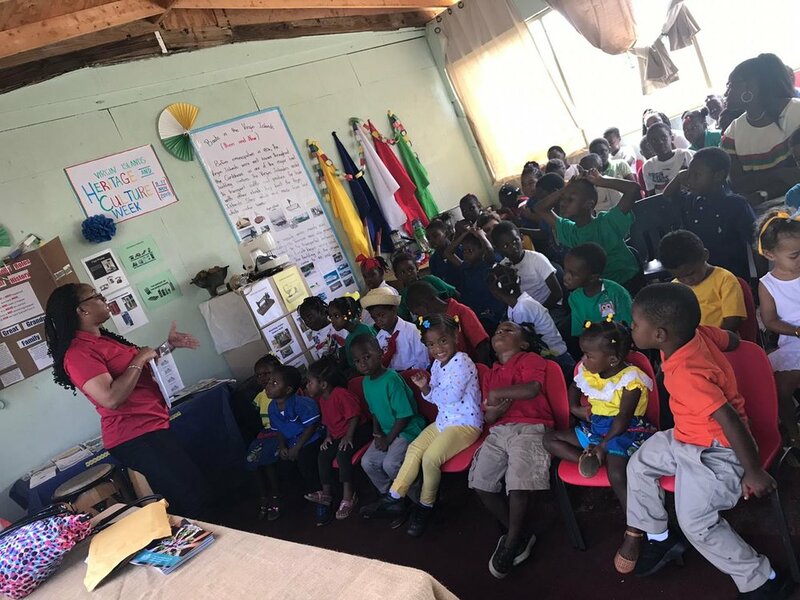 Below: Chandi Trott does a Seeds of Love presentation to students of the Jost Van Dyke Primary School. 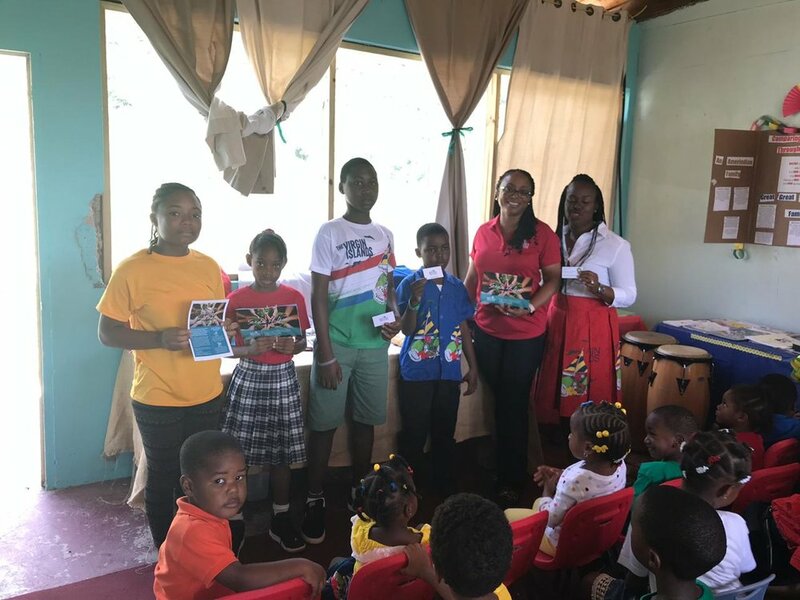 Jasseim Maynard at display booth and Jahnai Caul presenting to students at the reopening of J.R. O’Neal Botanical Gardens. 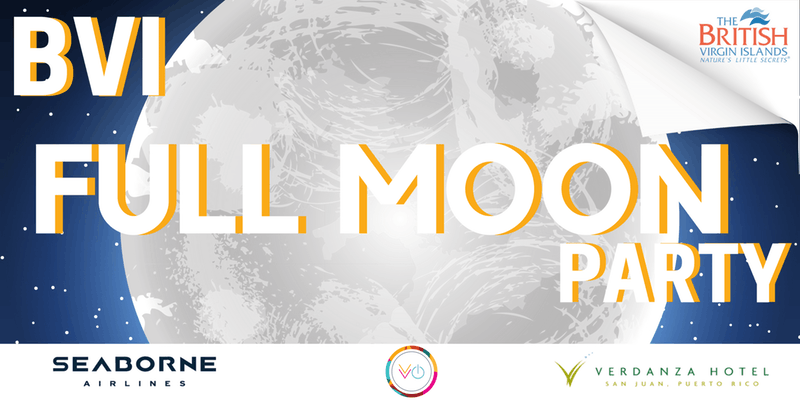 Seeds of Love was promoted at the BVI Full Moon Party in Puerto Rico in May. 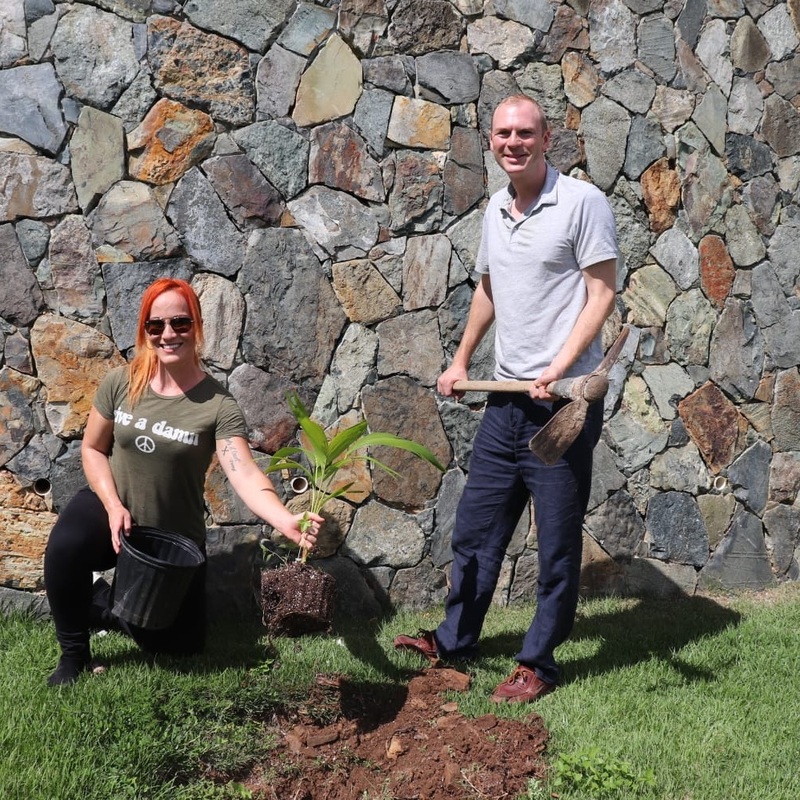 Chef Adrianne Calvo and His Excellency the Governor Augustus Jaspert planted palm trees at the Government House on October 27, the day of Gourmet for a Cause which kicked off Food Fete month 2018. 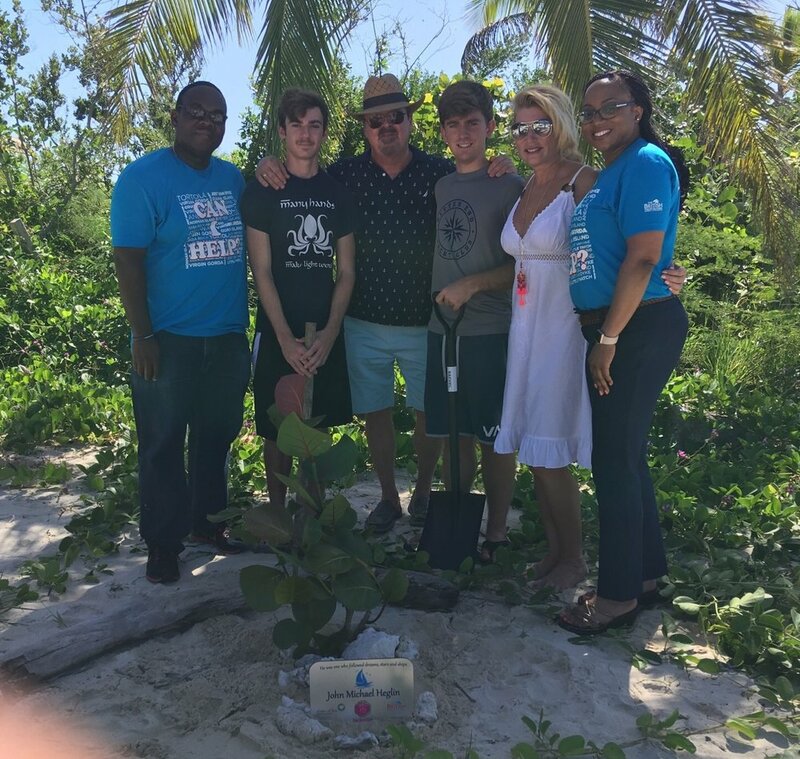 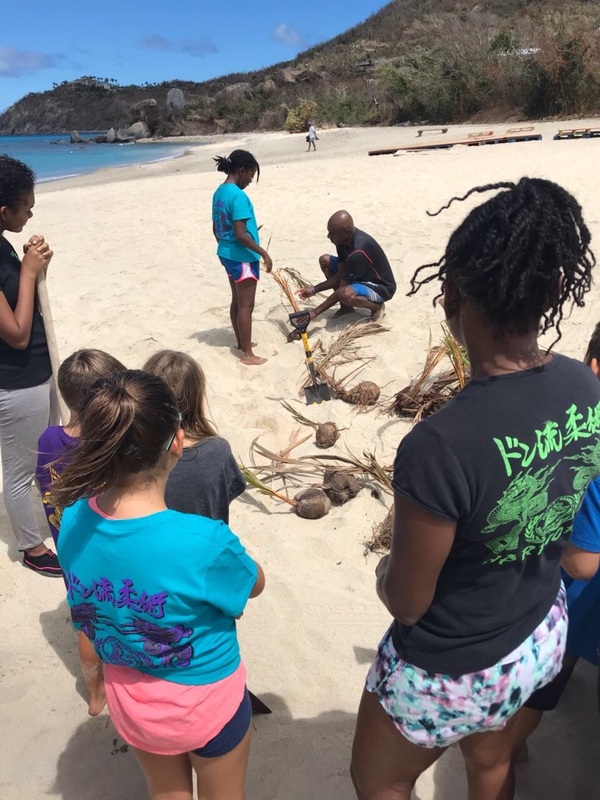 Annie Davis of Palm Beach Travel along with her family planted a Sea Grape Tree in memory of her late brother, John Michael Heglin who loved the BVI. 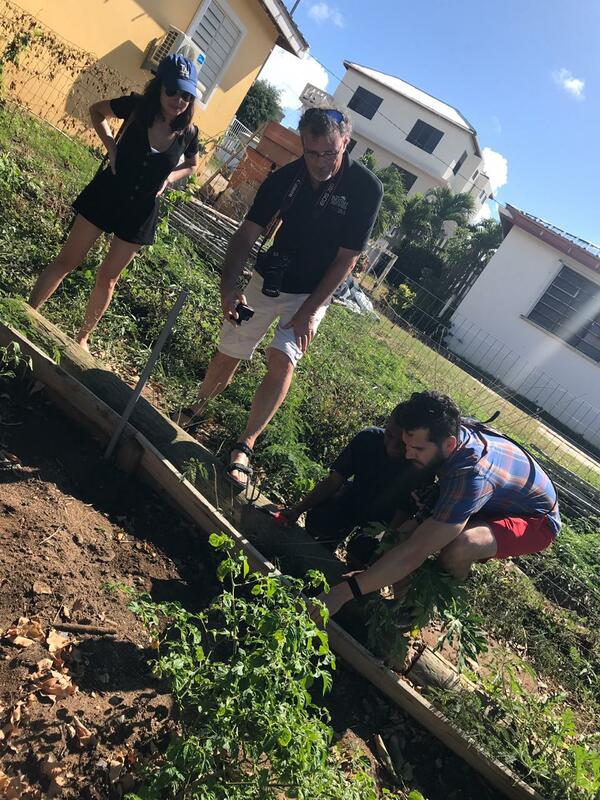 Our seeds have sprouted and we’re looking forward to where 2019 will take us, with your support! 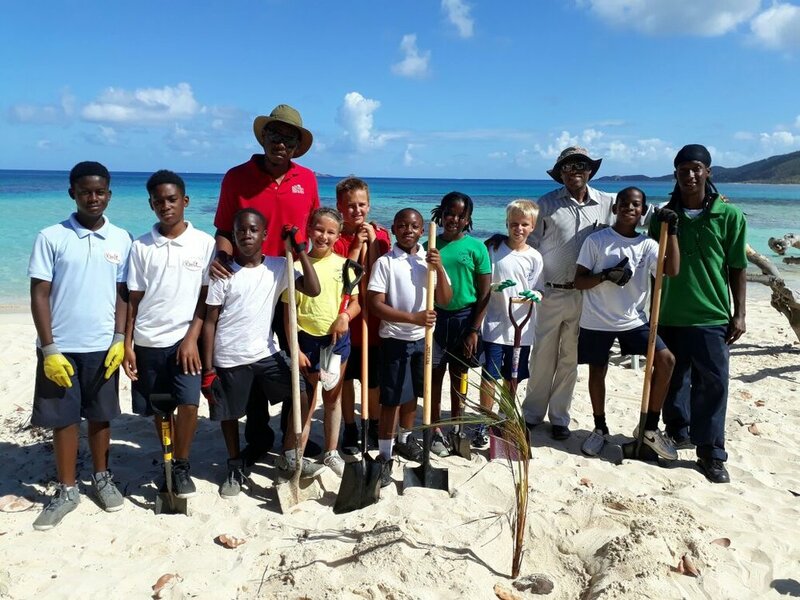 Thanks to Ernst and Young for their generous donation.